Google's Cameos app focuses on celebrities. 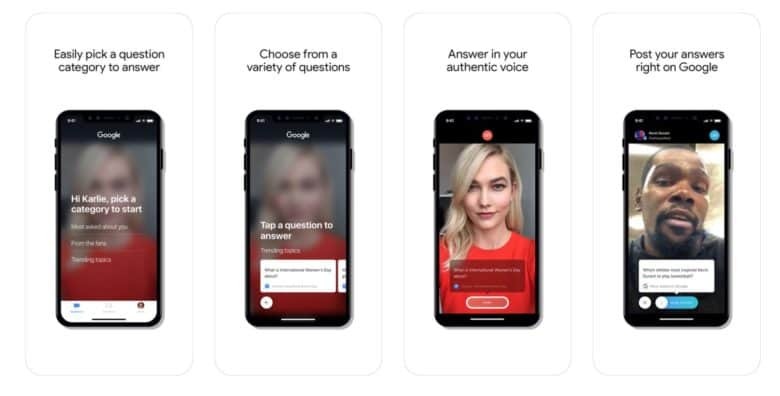 Google is giving celebrities a new way to answer some of the most popular questions asked by fans thanks to a new app called Cameos. The search giant launched Cameos on the iOS app store this morning. Created for public figures, celebrities and sports teams, Cameos is an extension of the Posts on Google platform that allows some people and organizations to post directly to Google’s search result pages. Cameos is only available to people famous enough to pass the application process. While you probably won’t ever be able to use the app yourself, you should start seeing it in action when you search for certain people. The new Cameos app focuses specifically on video. Celebrities can see a list of the top questions people type in about them on Google, then they reply with a video message. When people search for a question they’ll get a direct answer from the person they’re curious about. Cameos is a bit like Instagram’s new Q&A feature. Instagram gave users the ability to field questions directly from their audience and then answer them in their story. Google’s Cameo app lets invited users post text, images, videos and links. If you think you’re famous enough to get in on the Cameos action, you can download it from the App Store now.